Like a heavy heart this track shifts its way into your perception, that sinking stomach feeling, emptiness, beginning with a slow ominous luscious clopping clock and insectoid ticking and slumbering breaths and then we fall into the urgent synthpop of it all, and the vocals of Manila's moon mask opens up a deep croon: "Met you asleep in a dream…" Big thumping drums create a driving energy – a gotta-do-something '80s filmic montage of an atmosphere – with simple kick-snare alternation with stomping gloopy bass that cuts a basic booming groove beneath the miasma of electronics that glide and soar and punctuated by sparkling starlit melodies twinkling beneath it, bright neon chords electrify the heavenward introspective gloom of it, shocking strobes in the murksmoke. But the dreamy atmosphere that dwells in 'twenty minutes dream runner' arises because, moon mask explained on Twitter, it's "based off a short story I wrote once about a decaying man reliving dream." There is indeed an aroma of decay that whirls around in this synth-laden dreamscape, the cardinal reverb that the drums are soaked in so they crack and roar in the song's verses, and in the literally decayed melody that twists and turns fizzing abrasive in the bridge, overdriven and piercing. The chorus is catchy, deliciously so, with rapid pogoing vocals: "20 minutes better run baby ah, 20 minutes left before they take you away…" A fantasy lovesong, an electronic pop elegy, this is the idealised grip of nostalgia manifested in the hazy hangover of something distantly dreamt. 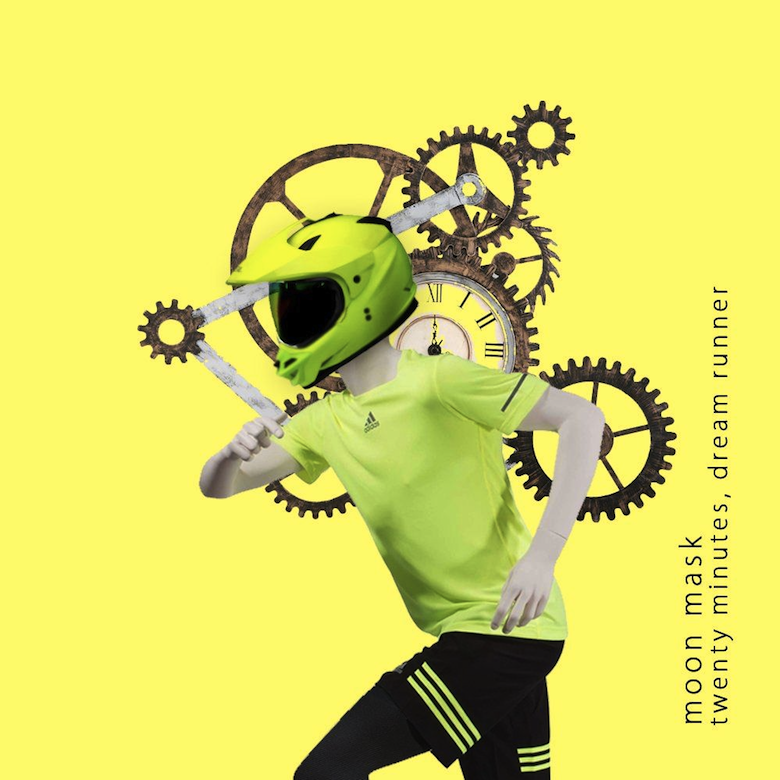 🔔 You may purchase 'twenty minutes dream runner' digitally via Bandcamp if you like. It arrives ahead of moon mask's EP scheduled for release early next year; "I've been trying to take a bit of a new direction in my sound," says our boy in the track's description, and the new EP will probably mirror that sentiment.